▶ Feature: sound recording, and the photos and video file will directly stored in your Android mobile phone, the whole process of record check, convenient observation and follow-up analysis. 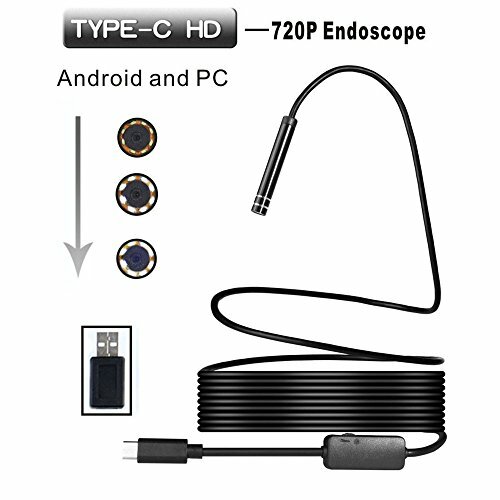 Ideal for intraoral camera system, underwater camera, waterproof Micro-cameras, motor vehicle detector, sewer pipeline detector, search and rescue, criminal and custom detector, archaeological detect, the PCB detection, home care, aviation and space industries, care and tractors industries, petroleum drilling industries, constructions and so on. sound recording, and the photos and video file will directly stored in your Android mobile phone, the whole process of record check, convenient observation and follow-up analysis. If you have any questions about this product by DZT1968, contact us by completing and submitting the form below. If you are looking for a specif part number, please include it with your message. Battery Tester Battery Activation Charge Board, Kaisiking Professional Phone Battery Repair Circuit Board with Power Current Test Cable for iPhone X 8 Plus 7 Plus 6 Plus 6S, iPad, Samsung, OPPO etc.